When I was living in Kabul earlier this year, my internet connection was so imaginary that I never bothered trying to upload photos to my blog. Resulting in the several long (boring), un-spell-checked, tell alls that graced the screen after a few unforgettable trips or some other days filled with the general mind-fuckery of living in a expat-laden, occupied (yes, it is) country at war. And so there are some really fantastic photos wasting space on my harddrive that I should share. Thus my homework to myself this week is to go back through and add images where applicable, and maybejustmaybe get the rest uploaded on Flickr so I can link to an album there (rather than load scores of them onto this site – tedious and bad for page loads). I promise I’m going to get to this. Really. I’ll try anyways. 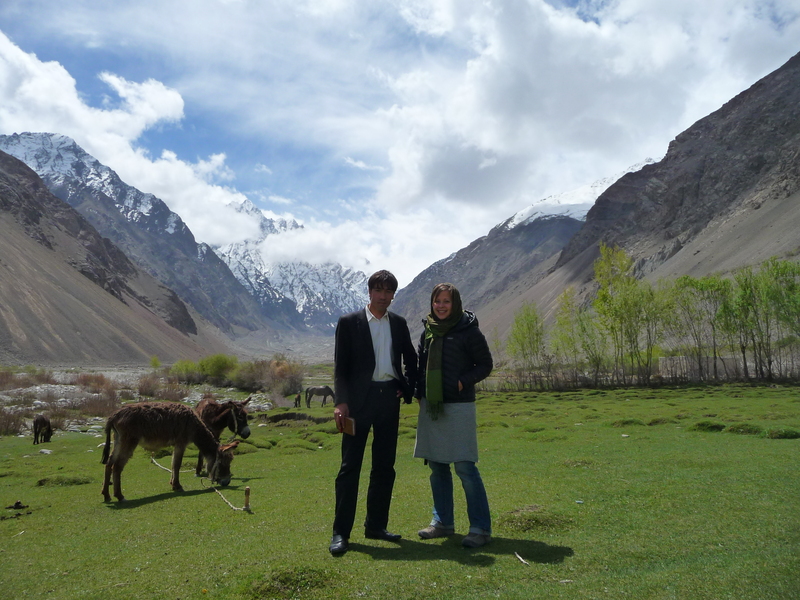 That’s me standing in the valley closest to Qala Panja, with our translator/ colleague, and the village donkey. I did a lot of gaping at mountains on this journey.